This piston stop tool screws into the spark plug hole. Bringing the piston gently up against it will lock the engine in place to prevent it from turning over while working on the engine. 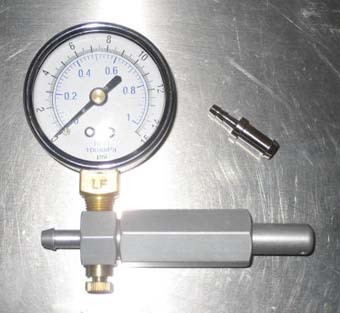 Machined from aluminum with a plastic tip to prevent damage to the piston. Fits virtually all engines with a 14mm plug hole. Color may vary between black, silver, red and blue. Secures the IAME X30's crank in place while removing the clutch. Hold by hand or loosely screw to case. IAME clutch holder. Works on Parilla Leopard, MY09, Gazelle, PRD Fireball, etc. 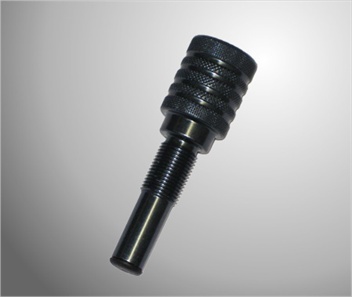 This is the latest clutch holding tool for the Leopard. Replaces the #10270 Clutch Wrench. click for details. Fits both the Parilla Leopard and HPV clutches. Simply insert the flex, secure with the two screws and cut through the the slot. Nice straight clean cut...doesn't get any easier! Fits up to 50mm flex. Finally! 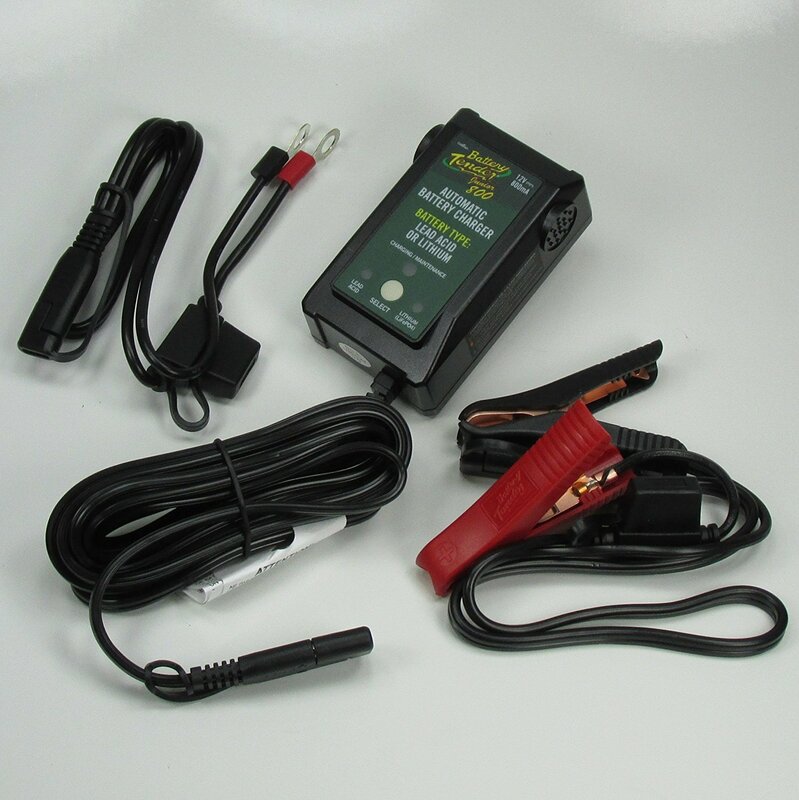 A FULLY AUTOMATIC charger that works on ANY 12 Volt Lithium, Lead Acid, AGM or GEL battery in ANY situation! ISM™ micro-controller constantly updates charge sequence for smooth transitions between charging steps. • The most cost-effective solution for long-term maintenance of 12V batteries in any vehicle stored in or outdoors. Fully Automatic “Plug and Play” - Simply connect to the battery and plug it into the nearest power socket, the rest is fully automatic. 4-Step Charging - Qualification, Bulk, Absorbtion and Float. Includes all safety features such as reverse polarity protection, no spark connection and short circuit protection. Comes with Alligator Clips and Fused Ring Terminals. 5 year limited warranty.